FIRST "I want to build a relationship with him", and then "make him a better player". This is the two-step plan Michael Maguire plans to employ to keep Luke Brooks at the Wests Tigers beyond the 2019 season. 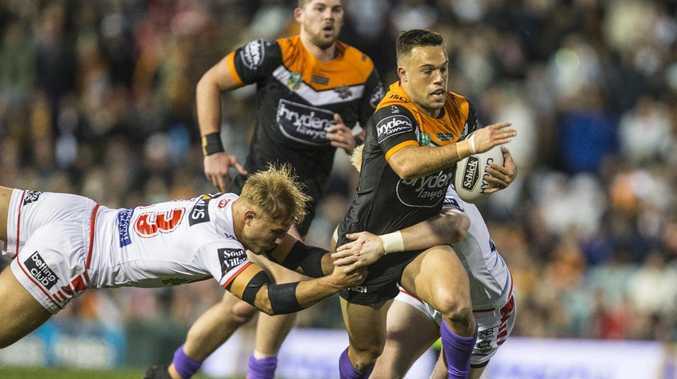 The new Tigers coach has made no secret of his desire to lock down the reigning Dally M Halfback of the Year, and while he's had multiple phone conversations with Brooks, he still has work to do to rubber-stamp any contract extension. And rather than make any new deal all about the money, Maguire plans on leaning on his impressive results with playmakers he's coached in the past. His premiership-winning halves at Souths, Luke Keary and Adam Reynolds went on to play for the Kangaroos and NSW Blues respectively - rep honours many thought Brooks was destined for, after being crowned Dally M Rookie of the Year in 2014. "I want to build a relationship with him first and then talk to him about his game," Maguire said on Monday. "I've been very fortunate over my time to work with a fair few halves and spent a lot of time at it, and I want to impart as much knowledge as I can to him to make him a better player. "I think for any player if you're at a club and you're growing and learning you become a better player and I'm sure he wants to do that here." Maguire said the opportunity for Brooks to continue his development in a spine chock-full of players who've played the highest levels of the sport, would also play into the negotiations. "I spoke to Brooksy a few times, and he'll be in over the next couple of days. Obviously we've had some discussions now and I'm looking forward to sitting down and educating and building his game," he said. "I really enjoy working with halves it's something that I've always had a passion for, and the spine. Working with Brooksy he's a great talent and he's spent a lot of time at this club, and the way he's developed his game he's right in the prime now of being able to take it forward in a big way and he's got good people around him like Benji and Josh." 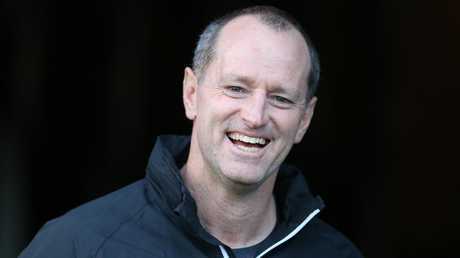 Maguire held his first Tigers training session on Monday, and he's refusing to put limits on what the Tigers can achieve this year. "I think any squad is capable in this game. It is so close now the competition and my time away over the 12 months I pretty well watched every game," he said. "I was able to sit up in the grandstands at all the grounds and watch all the teams and it usually comes down to one or two plays... there are a lot of strong names (in Wests' roster) and then complementing that with the young kids coming through, that's the makings of what the good teams are all about."